He had nothing fancy during his childhood. As a son of an elementary school principal and a mother whose work was cooking and cleaning at a school for the blind. Growing up wasn’t the best of days for him as a had to battle with ubiquitous segregation which meant living in restricted areas and staying away from the polling booth, not because he’s not of age but for the color of his skin. But instead of wallowing in self pity and blaming his blame race for his fate, Desmond Tutu did the unthinkable – he stayed poised and focused; determined to maximize the situation and lead a happy life.”We knew, yes, we were deprived,” he said. “It wasn’t the same thing for white kids, but it was as full a life as you could make it. I mean, we made toys for ourselves with wires, making cars, and we really were exploding with joy! “After seeing a white man, a priest named Trevor Huddleston, tipped his hat to Tutu’s mother—the first time he had ever seen a white man respect a black woman, it made a profound impression on Tutu. He said it thought him not to accept discrimination.He added that the incidence made him to realize that religion could be a powerful tool for advocating racial equality. 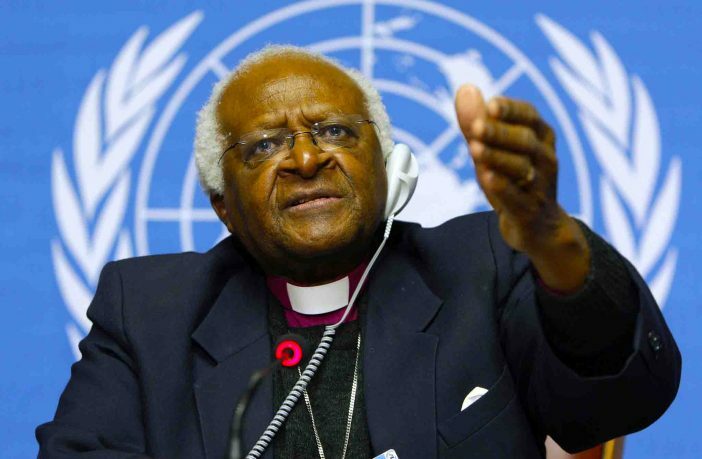 But this wasn’t a closed deal on his career.As someone who decides based on life experiences, Tutu also wanted to be a doctor after he nearly died following a tuberculosis infection when his family moved to Johannesburg when he was just 12 years old.He said he received excellent education at the Johannesburg Bantu High School which ironically was a grossly underfunded all-black school. This he said made him to realize that because something is cheap doesn’t mean it is of low quality.Tutu said: “The people who taught us were very dedicated and they inspired you to want to emulate them and really to become all that you could become. They gave you the impression that, in fact, yeah, the sky is the limit. You can, even with all of the obstacles that are placed in your way; you can reach out to the stars.”After completing his high school education, he got a scholarship to study education at Pretoria Bantu Normal College. He bagged a teacher’s certificate in 1953 and proceeded to receive a bachelor’s degree from the University of South Africa in 1954. He returned to his high school where he taught English and history.”I tried to be what my teachers had been to me to these kids, seeking to instill in them a pride, a pride in themselves. A pride in what they were doing. A pride that said they may define you as so and so. You aren’t that. Make sure you prove them wrong by becoming what the potential in you says you can become,” he said.He enrolled at St. Peter’s Theological College in Johannesburg in 1958 and was ordained an Anglican deacon in 1960 and a priest in 1961. 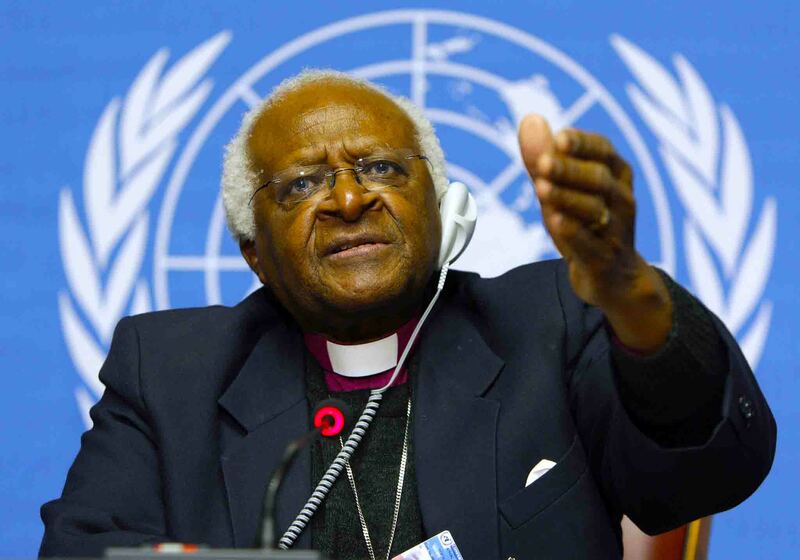 Tutu left South Africa in 1962 for further theological studies in London, where he got his master’s of theology from King’s College in 1966. He returned to South Africa to teach at the Federal Theological Seminary at Alice in the Eastern Cape; he also served as the chaplain of the University of Fort Hare. “I never doubted that ultimately we were going to be free, because ultimately I knew there was no way in which a lie could prevail over the truth, darkness over light, death over life,” he said.The rest is history.Following the defeat of apartheid and numerous awards include the prestigious Nobel Peace Prize, he served as the Archbishop Chairman of the Truth and Reconciliation Commission, a body set up to probe gross human rights violations that occurred under apartheid.Unlike Nelson Mandela that had a divorce, Desmond Tutu is still with Leah Nomalizo, the woman she married on July 2, 1955. They have four children. He is travelling across the world, raising awareness on HIV/AIDS and its tragic consequences in human lives and suffering. He still advocates for social justice and equality across the globe and has joined The Elders which include Nelson Mandela, Kofi Annan, Jimmy Carter and others. They meet regularly and discuss ways to promote human rights and world peace.In the world today, Tutu is believed to be in the same league with Nelson Mandela, Mohandas Gandhi and Martin Luther King Jr. he speaks for the oppressed and those that are struggling with inequality and fighting for freedom. Next Article African Medicine: How Effective?